My name is Helen Cross I have been working as an A & E nurse for the past few years. I became interested in research nursing last year and was given the amazing opportunity to become the Ben King Legacy Research Nurse. I would like to thank BK’S Heroes Charity for giving me this opportunity to become involved in the creation of new research and knowledge; it makes me feel that I am contributing to the discovery and development of something that can make a difference in people’s lives and for the foreseeable future. Since commencing in post just over 9 months ago, I have been involved in a number of trials & a large part of my role has been to identify those people who are suitable to take part in those studies & give them a full explanation of what is involved. This enabled them to make a fully informed choice whether or not to take part, giving numerous people with a variety of renal conditions the opportunity to take part in research, helping to improve the care that we can offer to many more people in the future. As a member of the Chronic Conditions Research team, I have assisted with many studies aimed at improving the lives & outcomes for people with kidney conditions. My greatest contributions have been to the QCKD, I-Race & Ex-Frail studies, all of which explore the benefits of increasing physical activity in chronic kidney disease. These studies have recruited nearly 500 participants, over 30 of whom I have recruited myself but contributed to the screening, initial approach & follow-up with many more. I am extremely grateful for BK’S Heroes’ contribution which was essential to allow me the opportunity to take up this rewarding & meaningful role. The support of the Charity has enabled this role to continue and I hope to be able to offer many more patients the opportunity to take part in research. BURNLEY MAYOR CHOOSES BK’S HEROES AS HIS CHARITY. The Worshipful the Mayor of Burnley, Councillor Charles Briggs, has chosen BK’S HEROES as one of his three supported charities during his year in office. We met Charles purely by chance whilst buying toiletries in one of our Burnley supermarkets that were intended for the patients at Preston Royal Hospital. Charles was queueing behind us and heard us speaking to the checkout lady, introduced himself to us and asked if we could have a chat. We were very excited when he told us he would become Mayor of Burnley in 2018 and had been looking for a local charity to support during his period in office. Details were exchanged and we are now delighted to report that Charles made good on this initial meeting and has involved BK’S HEROES as a supported charity during his fundraising efforts through the year. “As I was walking out of a supermarket, I overheard a conversation about a charity. I listened intently as it brought back memories of my beloved wife ‘Lynne’ who passed away with pancreatic cancer, but fought all the way to the end. Thank you so much Charles, we look forward to a fruitful year and growing friendship. We were so pleased to receive an invitation to the afternoon tea party on ward 2b at Preston Royal Hospital. Many of you will know that Ben spent quite a lot of time on the ward. The staff are amazing they go above and beyond on a daily basis. Sister Lisa Womack explained to us that the event was organised to raise much-needed funds to help with patient comfort. Their aim was to raise enough money to purchase fans and radios for the ward as Neuro patients quite often struggle to regulate their temperature and can find watching TV difficult. We decided that it was not enough just to attend the event; we wanted to do more knowing that was what Ben would have wanted. Fiona and Danielle, two of our trustees attended the hospital armed with six Fans and six Radios to donate. The afternoon was well attended and an amazing £875 was raised, which can now go towards other items to help patients whilst on the ward. 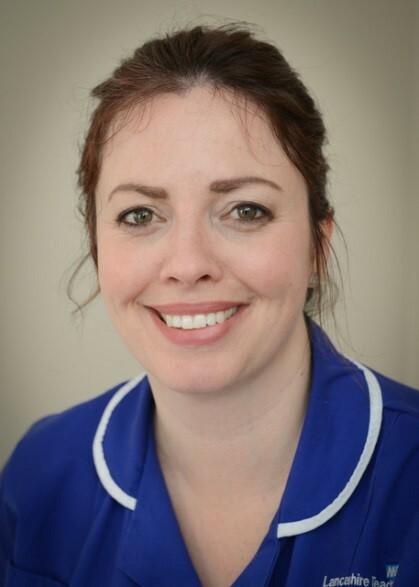 Danielle our newest trustee enjoyed her first visit to the ward and was very touched by the warm welcome she received from everyone. Many Thanks to all our Heroes who help make this possible. Ben wasn’t just my cousin; he was a big brother and a best friend- So when Uncle Dave, Aunty Fiona, and Dan asked me to be a trustee of BK’s Heroes and help them continue Ben’s legacy, it was, and still is a feeling that’s rather difficult to put in to words. It’s much more than a role or making sure that Aunty Fiona and Uncle Dave don’t break the website, it’s something very close both mine and my friends & families heart. So to be given the opportunity to be a part of something that will help so many other people and their families and their friends who are having to deal with these life-threatening debilitating diseases is just overwhelming, and just like Ben, kind of a ‘Big Deal’ to me. I just hope that my input and contribution to BK’s Heroes will help with continuing what Ben set out to do. As you may remember from a previous news item, last year’s Captain and Lady Captain of Marsden Park Golf Club, Steve and Julie Alderson, supported BK’S HEROES with events throughout the year. We have previously received wonderful donations from them but most recently at the end of their Captaincy tenure they donated a further fabulous sum of money to us, a cheque for £420. The generous members of this great golf club collected these funds and their efforts, headed by Julie and Steve, are truly appreciated by all here at BK’S central. Heartfelt thanks to you all for your wonderful generosity. Fiona and Dave recently returned to the Research Department at Preston Royal Hospital to pick up a fantastic donation of £154.14. The money had been collected from patients and visitors at the hospital who were regaled by their wonderful carol singing in the main entrance of the hospital shortly before Christmas. Fiona and Dave had joined them and with collection buckets and voices raised high, were happy to see many of those looking on joining in with the chorus. The money was raised despite Dave singing loud and proud and generally out of key!!! Well done all of you, it's really heartwarming that the people BK'S HEROES are lucky to donate funds to, are actively supporting the charity as well. Long may these partnerships continue. We were delighted to attend Ramsgreave Drive, to watch our Charity Partners, Blackburn R.U.F.C. on Saturday 23rd September, where they hosted Warrington. Sadly 'Burn' were not victorious but it was a very exciting game that certainly raised the blood pressure of one time player and your friendly trustee, Dave! It was fantastic to finally meet Blackburn's Director of Rugby, Dino Radice and hear his story of how brain cancer has touched his life. It was also the day of 'Dino's Long Lunch' where the club was open to guests for an afternoon and evening of food, rugby, live entertainment and FUN. Not only that but a large amount of money was raised by the generous crowd during the auction where the bidding was whipped to a frenzy by Auctioneer Dino (a man of many talents). Some of this money will come to BK'S and we are truly grateful to Dino and the club for so enthusiastically supporting us. We will return to watch your next game and win!! We are delighted here at BK'S Central that our connections with local sporting establishments is growing. Most recently Marsden Park Golf Club Captain Steve ALDERSON has announced that we are to be one of his dedicated charities for the year. This is brilliant news and follows Steve and Julies previous Summer Ball at the club where a magnificent £600 was raised for our charity. We recently had a visit from an old friend, Liam Caning. It was great to catch up and also tell Liam how the charity was doing. Liam told us he would love to try and do something for BK’S with the rugby club he played for, Blackburn RUFC and we obviously thought this was a great idea. Little did we realise what this ‘something’ would become. Only a short time later we were contacted by the club who informed us that they would like to adopt BK’S HEROES as one of the clubs chosen charities for the upcoming 2017-18 season. Absolutely awesome news and we were delighted and happy to accept this offer. More details will follow as we have meetings with the club, but a huge THANK YOU to Liam for the initial approach and Blackburn RUFC for being so keen and willing to help us raise awareness of Brain and Kidney Disease with their player’s fans and opposition over the coming season. 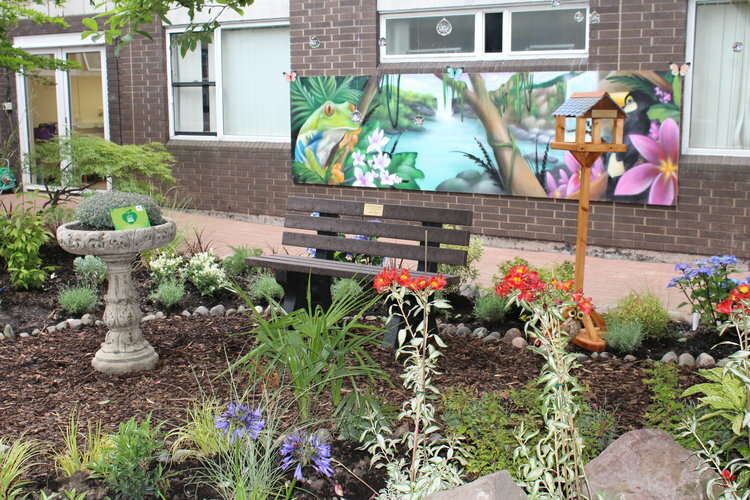 Friday 28th July 2017 Neurosurgical Ward Sensory Garden Opening. Today saw the BK’S team return to Ward 2a at Preston Royal Hospital, where we had spent many long days with Ben during the higher dependency days of his treatment. This morning BK’S HEROES were invited to BOOTHS at Barrowford, to meet with their new manager, Steve Rogerson and Lucy Carter, where we were presented with a cheque for £1000.00.Steve told us that annually Booths donate all the money that has been raised by the sale of their plastic shopping bags to three charities. We are absolutely delighted that this year, one of Booths Barrowford chosen charities is BK’S HEROES. It is really important for us at BK’S to be involved with our local community and to help raise awareness of Brain and Kidney disease with as wide a range of the public as possible. We are delighted to have this link with such a prestigious local supermarket and look forward to maintaining and strengthening our relationship. Here at BK’S we try to attend as many of our heroes charity events as possible, it’s the least we can do to support you whilst you shed blood ,sweat and tears and face your demons, in support of our charity!!!! One of these events was a football game played by a bunch of tough young ladies (it was a freezing cold day) who were from a newly formed team, ‘ Nelson Admiralettes ‘Ladies Football. The team had only formed and started playing together, in the 2016-17 season, but were already making big waves in the league. It was a successful event with a substantial amount being raised for BK’S, but more importantly, it introduced us to such a wonderful group of skilful, motivated, caring and fun loving young ladies. Who would have thought then where it would lead? Roll forward a few short months from this first contact and we have enjoyed watching several games and getting to know the team better. Then, out of the blue, the team asked if they could support BK’S HEROES as their designated charity partners for the 2017-18 Season. Wow, needless to say we were delighted to partner them and with their help, hope to raise awareness of brain and kidney disease with a whole new group of people. 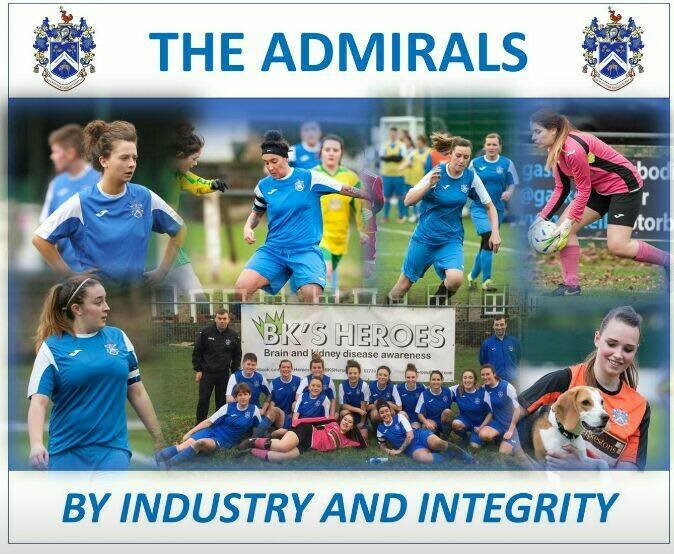 To help cement our partnership BK’S are sponsoring the team in the upcoming season and as part of that partnership are eagerly looking forward to seeing all the girls in their sparkly, new strips with BK’S HEROES emblazoned across the chest! It promises to be a fantastic , exciting season and we look forward to the team and BK’S going from strength to strength together.